The move to the cloud directory is underway en masse, with IT organizations shifting just about everything they can to the cloud. The common goal now is to get the company completely off-prem and into a full cloud environment. In many cases, the identity management platforms have been one of the last IT resources to make the leap. As IT admins look at various cloud identity management solutions, one of the most important criteria that they are interested in are the specific capabilities and features the platform can offer. 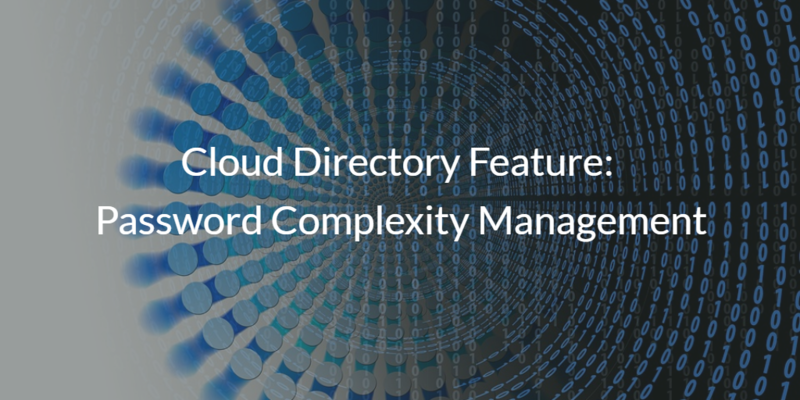 In this blog post, we’ll discuss the cloud directory feature: password complexity management. As much as we have tried to get rid of passwords, it appears that they aren’t going anywhere anytime soon. In fact, the average business user has 191 passwords, according to LastPass. Passwords themselves aren’t the main challenge though. The major pain with passwords is the way that end users use them. IT organizations have learned over the years that the dramatic increase in the number of accounts an end user needs has resulted in them choosing weaker passwords. 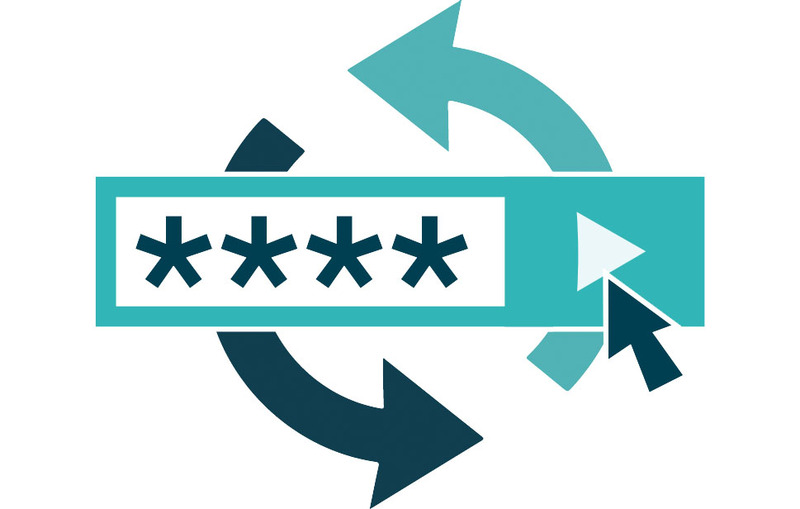 Passwords to accounts can be hard to remember, and with so many accounts being used it can create the desire to just have easy to remember passwords. 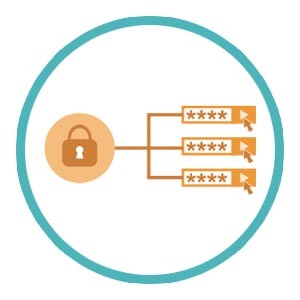 The research on this topic has varied over the years (Medium), but there is no doubt that long passwords can create some of the most difficult to crack passwords. Often, organizations will prefer to include special characters and numbers as well. In fact, according to security experts on NPR, the recommended password policy is that a user’s password be a long phrase. Full length sentences with punctuation and numbers are also popular. If that wasn’t enough, companies need to consider their specific compliance guidelines for passwords as well. Ultimately, it is up to the organization to decide what password policies they want their end users to follow. Their choices include length, password reuse, alphanumeric characters, lockout attempts, and much more. The key is having an effective way to enforce their password policies. IT admins know that end users will always present difficulties with password security, so putting those settings in the admins hands is critical. As IT organizations shift their identity management infrastructure to the cloud, they want to know that their solution will be able to provide comprehensive password complexity management. Fortunately, a next generation cloud directory is providing a feature for password complexity management that is doing just that. IT admins can get the control over password policies that they want, and move their directory service to the cloud at the same time. Here’s the best part: since it is a cloud-based directory, admins can not only enforce these password complexity management rules, but they can manage the users, systems, applications, networks, and more all from one central location. Admins get complete control over their environment, regardless of the platform a user is on, the protocol an application uses, the provider of a solution, or the location of an end user. If that wasn’t enough, since it’s an as-a-service solution, there is no on-prem infrastructure to install, manage, maintain, or repair. Admins can rest easy knowing that their IT environment is taken care of.But you don’t need to take our word for it. You can find some customer thoughts on JumpCloud Directory-as-a-Service’s many features in this blog post here. If you’d rather try it out for yourself, that’s an option as well. You can sign up for a free account here, where we offer 10 users free forever. Have any questions, or want to see a demo? We have weekly live demos that you can ask questions throughout, and we also have all of our contact information on this page. Find out more about the directory of the future today!